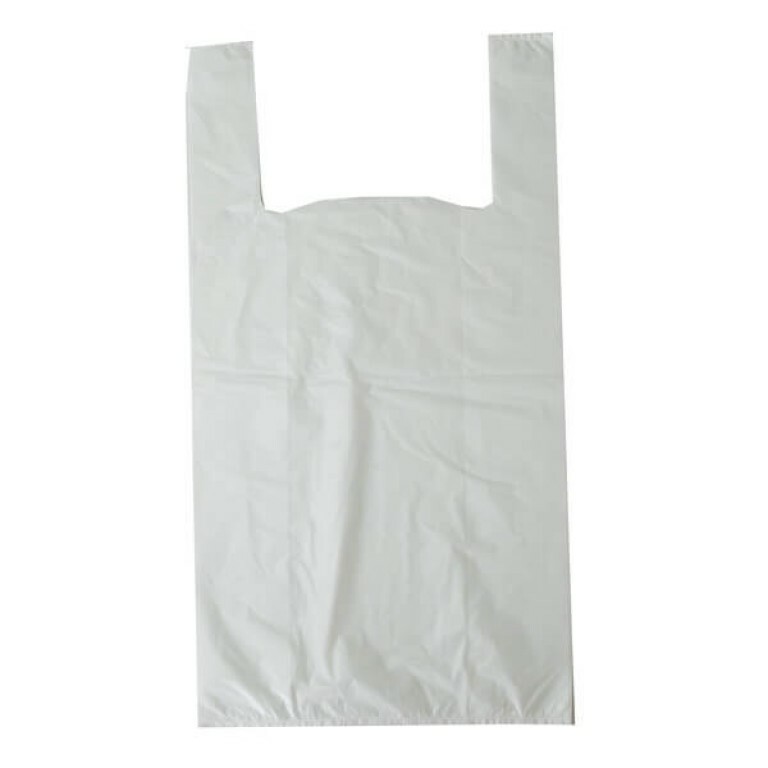 Vest carrier bag in white high tensile blended polythene. 2,000 bags per box - 20 dispenser packs of 100 bags. This deceptively strong carrier is ideal for supermarket use and at under 2 pence a bag is a competitive solution to your packaging needs.